Baktria was the name of a historical region in Central Asia. 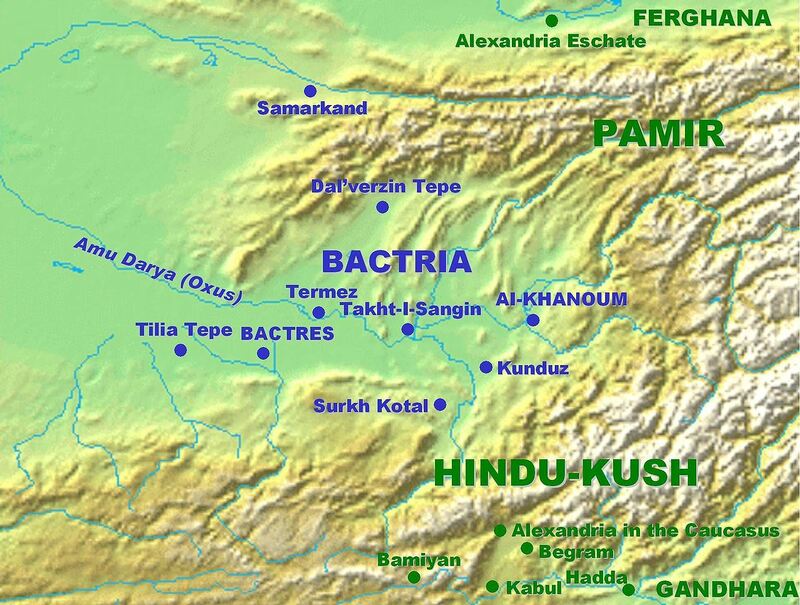 Bactria proper was north of the Hindu Kush mountain range and south of the Amu Darya river, covering the flat region that straddles modern-day Afghanistan, Tajikistan, and Uzbekistan. More broadly Bactria was the area north of the Hindu Kush, west of the Pamirs and south of the Tian Shan with the Amu Darya flowing west through the center. Before its annexation to the Achaemenid Empire by Cyrus the Great in sixth century BC, Bactria belonged to the Medes and together with Margiana, formed the twelfth satrapy of Persia. After Darius III had been defeated by Alexander the Great, the satrap of Bactria, Bessus, attempted to organise a national resistance but was captured by other warlords and delivered to Alexander. After Alexander's death, the area was ruled by the Seleucid Empire, but a satrap of Bactria, Diodotus I, eventually had the opportunity to declare independence about 245 BC. He was the founder of the Greco-Bactrian Kingdom.